There’s a new kid streaming music on the block, and it’s here with completely new tunes to boot. Tradiio is a reward-based, free music discovery platform available on the web, and for iOS and Android. Founded and launched in Portugal, this one-year-old startup — which has recently also penetrated the United Kingdom — was created to give new artistes a platform upon which they can showcase their talents in a crowded digital music space. Upon first look, one would notice that Tradiio’s web interface bears an uncanny resemblance to Spotify. But spend a little more time exploring the page, and you’ll realise it sports an operational structure that couldn’t be more radical. Unlike other music streaming platforms that simply allow users to listen and share music, Tradiio goes a step further to engage users through a ‘game’ that sees them interacting directly with music makers via a stock market mechanism of investing and selling. Users or listeners indicate their preference for songs and artistes by ‘investing’ in them using Tradiio’s virtual coins. These coins are gifted to users upon their registration with Tradiio — new members can get up to 5000 virtual coins. To earn more virtual cash, users can choose to complete various missions such as ‘listen to 2 pop songs’ or ‘share a song’. The primary function of virtual money, of course, is to make investments. These investments may earn a user ‘profit’ or result in a loss. So if he or she invests in a popular artiste, their profit margin grows. Users with a knack for spotting talent thus grow their assets of virtual cash, which can eventually be redeemed for real rewards such as T-shirts, speakers or concert tickets. Tradiio might offer music listeners a unique way to enjoy music, but budding artistes are not left out either: they can upload music that they have created, allowing listeners to ‘invest’ in them. They’re free to make music of any genre they wish — it’s entirely up to them to make the most of the platform. That said, the amount of investment an artiste receives determines their popularity and ranking on the Tradiio charts — the higher the investment, the higher the artiste’s position on the chart. And while topping the charts does warrant bragging rights, it isn’t the pot of gold at the end of the rainbow. Online platforms are a great stage for exposure and establishing a reputation. But it is performing on a real stage and shaking hands with record labels that seal the deal. 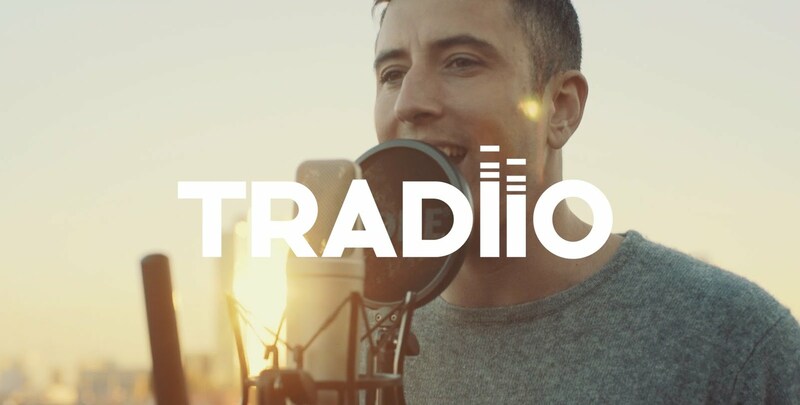 And that is exactly what Tradiio has up for grabs: each month, the top 3 artistes based on chart rankings are given the chance to work and record with Believe (a UK record label), access to studio time with prominent London-based recording studio Miloco, and score gigs at large-scale music festivals. One downside of Tradiio is its lack of presence in Asia: while users and artistes living in Singapore are able to enjoy all that Tradiio has to offer, they’re unable to receive the rewards, which tend to be UK or Portugal-based. But fret not, because according to the Tradiio team, international rewards are definitely on the horizon. Interestingly, there is already a Singapore chart that keeps tab and ranking on local artistes. But owing to Tradiio’s restricted penetration in Singapore, there aren’t many local artistes showcasing their music on the platform…yet. Having conquered both the Portugal and UK markets in just over a year, Tradiio has proven itself to be quite the up-and-coming startup. In fact, I’m inclined to believe that if Tradiio were to expand and touch base with Singapore, the response here would be off the charts. Besides the fact that our music industry is thriving, the concept of having users — and users only — tangibly calling the tune on the fate of Tradiio artistes and thereafter distributing real rewards, is not only a form of encouragement to our talent, but pokes holes in the stereotypical thinking that music-making is a frivolous activity that should be kept to the confines of the bedroom or YouTube. With a dynamic chart in place and a ranking system clearly laid out for all to see, it will be hard for anyone to deny the potential of an artiste. Most importantly, the international audience on Tradiio can almost certainly guarantee artistes a fan base that isn’t just made up of Singaporeans. And with a worldwide following, the opportunities of carving a name in the global music industry will be endless.